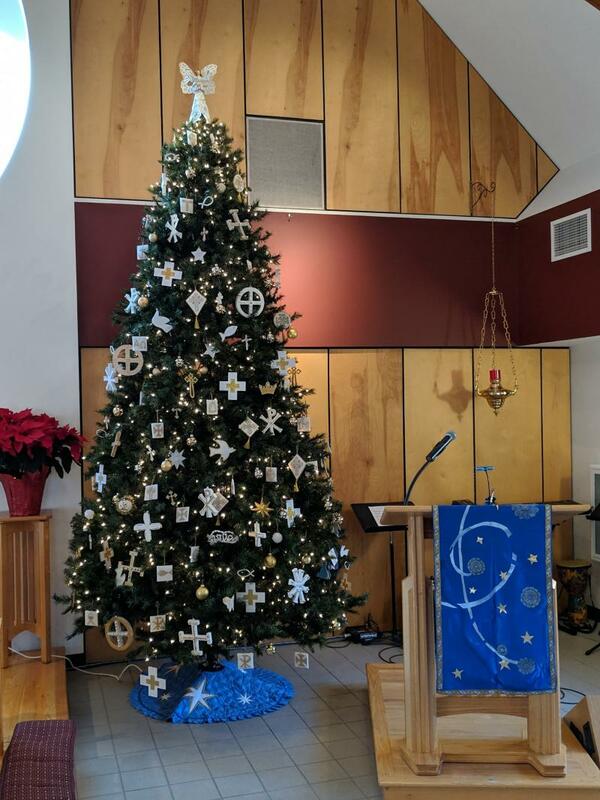 Our Chrismon Tree is alwasy so beautiful and the new Chrismons we made this fall blend in perfectly with the old ones. 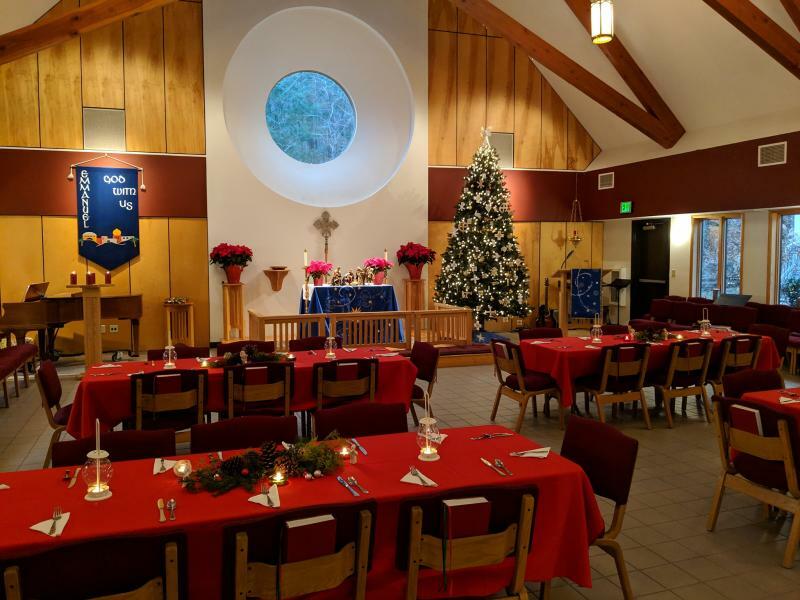 We transform our sanctuary into a banquet hall for the annual Christmas Feast. 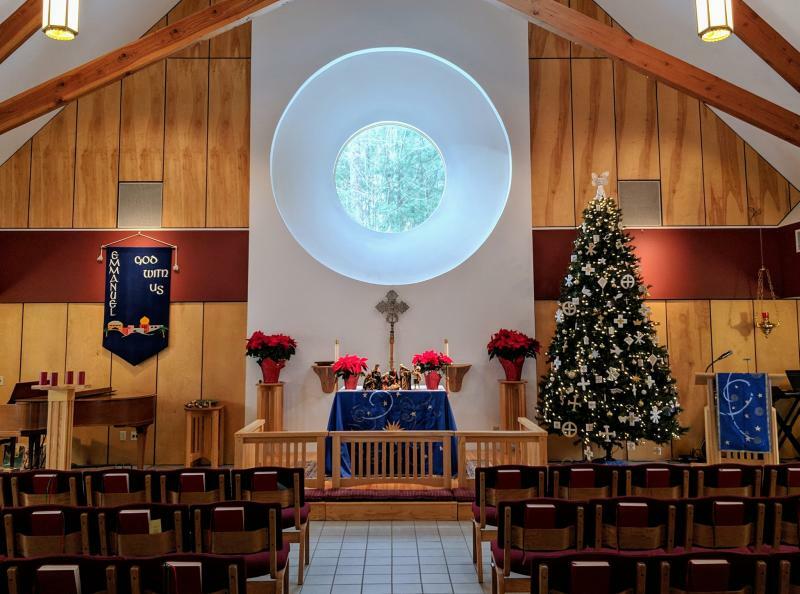 Everything is ready for Christmas Eve Worship. 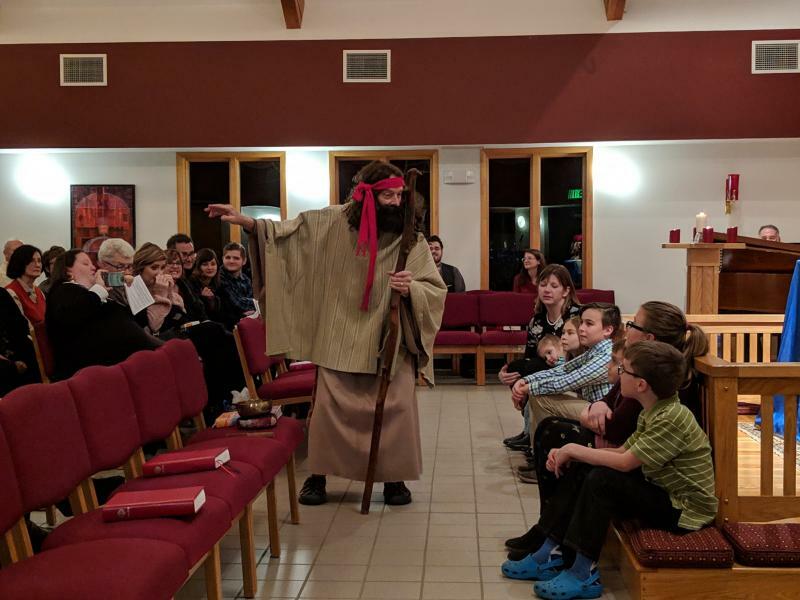 Pastor John dressed as a shepherd to tell our youth the Christmas story on Christmas Eve. 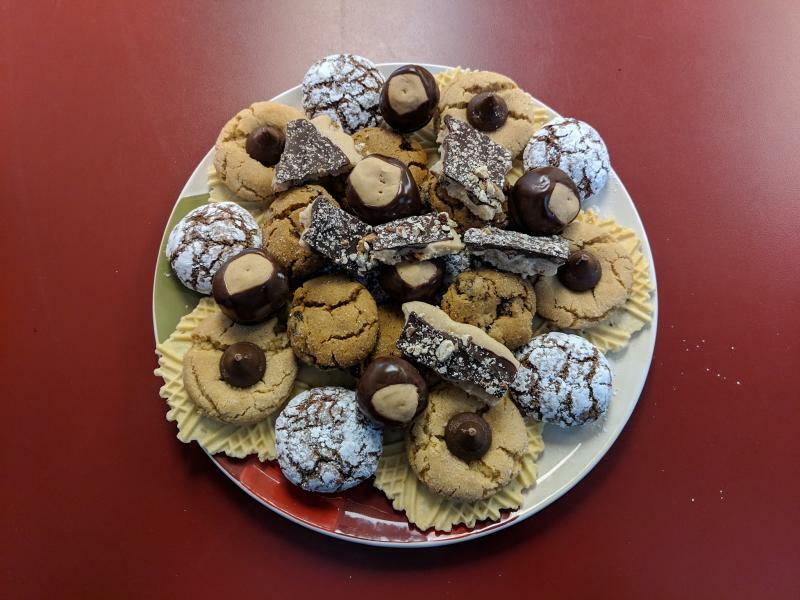 A plate of cookies ready for the reception after worship.